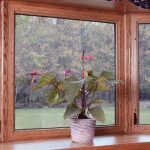 Double-paned windows are said to save energy, save money, and add to a home’s value, but we did some investigation and put their reputation to the test. Energy loss attributed to windows accounts for nearly 25 percent of the annual heating and cooling costs for the average American home, according to the Department of Energy. Fortunately, there are steps you can take as a homeowner to drastically lower that statistic, including installing double-paned windows and utilizing other energy-efficient window technologies. Double-paned Windows Save Money: Steve Poitz, a member of the Canadian Window Standards Subcommittee and an engineer who specializes in energy-efficient windows, states that even a clear glass, double-paned vinyl or wood-framed window can reduce energy usage by up to 24 percent in cold climates during the winter, and by up to 18 percent in hot climates during the summer, when compared to older, single-pane models. Adding Other Technologies Saves Even More: There are a lot of products that go into a good double-pane window. You can expect energy savings of anywhere from 30 to 50 percent, depending on whether you choose average energy-efficient windows or top of the line models. Double-paned Windows and the Environment: Reduced energy use doesn’t just mean you save money, it also means you’re burning less fossil fuel and creating fewer greenhouse gas emissions. 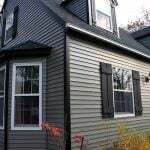 Double-paned Windows Insulate Your Home from Noise: Double-paned windows significantly reduce outdoor noise pollution. 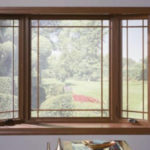 Double-paned windows can be a valuable investment in the peace and quiet department, especially in busy urban areas. There really isn’t a downside to double-paned windows as a product. There are, however, issues related to window quality and installation that can reduce, or negate, the energy savings you are aiming to receive. Can’t Buy Just One: Replacing individual windows rather than upgrading entire homes or floors will not yield intended energy savings. Old windows will still leak air even if you install one double-paned one. 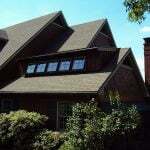 Desired energy savings will likely result in purchasing many windows at a time. Quality Matters: From failed seals to improperly spaced glass, poorly manufactured windows, or windows that fail, can negate energy savings and even lead to other problems, such as condensation developing between the panes. Quality is key, and it usually comes at a higher price. Expect to pay about $600 for a reasonable, middle-of-the-road window, and about $850 for the best the industry has to offer. Given the pros, it’s wise to focus on possible savings than initial cost. Calculate window glass prices per square foot using our True Cost Report. Need to find a pro for your double pane windows? Please explain the seal for double pane window. We recently had home inspection and inspector said seals are leaking in all windows. I don’t believe that. There is only one window that is that is slightly cloudy which I assume is caused leaky seal. Contractor just recently (1 month) installed large double-paned picture windows. The glass windows are retaining water, leaking and beginning to corrode. Every time it rains, water get in and you can see water running down the column, puddling on the metal frame and on the floor. When they checked the windows they stated that there are gaps between the glass and the frame that was put around the glass in the factory. There are gaps where you can see sunlight shining through. We just had replaced all 14 windows in July 2016 to double pane. It didn’t reduce the noise outside. I can still the cars outside, passing trains (quarter mile away) and this winter it gets cold inside. Does anyone know whr to find the cheapest place to fix a double pane window? Hi Aleathe — I think you have to get a window professional out to fix the window, not take it somewhere. Depending on your city, there could be some great pros there to help you. Check out more info here: https://www.homeadvisor.com/emc.Windows-directory.-12080.html. 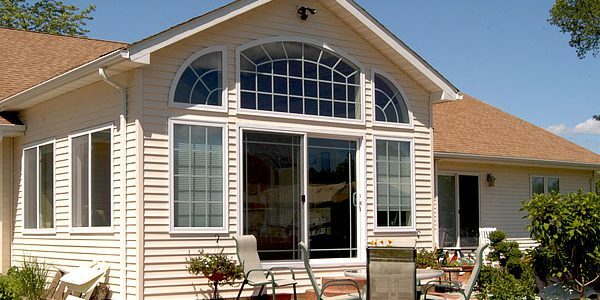 We would like to get an estimate on replacement of windows to dual pane. We’ve been in our house now 20 years (bought new) and we have double pane windows. No drafts, no fogging on windows when cooking. But now, I just noticed in November two of the windows are beginning to fog when cooking. Then noticed a couple more are getting drafty. How long are they suppose to last? I suppose 20 years is a good run. Would having them resealed take care of the problem? Getting cold in Edmonds. I would never buy double paned. I think it’s a gimmick. 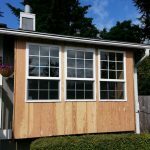 Spending $10-$15k dollars to replace windows to get a few dollars off the utility bill? I’d die before I’d recoup the cost of the windows. AND it seems that the seals ALWAYS break eventually. Requiring thousands more dollars…for what? Not for savings, that’s for sure. I would get low-E film single pane windows, put blinds in front of them, and a shade, and then drapes in front of that. Maybe add a storm window. The windows will never have to be replaced or have that condensation or dirty look between the panes. I’ve seen newish homes with that dirty film all over the bottom halves of the windows between the panes. I wonder if one could have one of the panes removed permanently, reverting the window back to a form that will last 100 years? I too think the double-pane window idea was simply to create a market where there was none. Once a house was built, that was it for the window mfg, other than the occassonal replacement. They’re guaranteed continuous business as we all know the seals were designed to leak in time. They’re not stupid. In order for you to recoup your initial investment of $10,000, it would take neary 15 years, and that’s assuming none of them ever had to bereplaced . I based this on a 30% savings on a monthly power bill of $200. Questions? Have a double wide 28-year-old mobile home…It’s in excellent shape & has resisted all hurricanes thru out the years…The windows leave a lot to be desired ,they really could use replacement, however, based on age & value of the mobile today I prefer not to put in a lot of money,(we would have to borrow}dont mind used any suggestions to save.We live in Florida & don’t get the benefit of opening them do to repairs being needed. Could save on air in the fall & spring..Would need screens also. Hi Nick – Use this tool to find a professional to consult regarding the project for an accurate cost estimate. 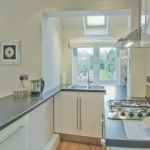 For homes,windows at heights , please use single pane toughened glass of suitable thickness. Lifetime warranties on double pane windows mean nothing as these companies file for bankruptcy and ignore the contract. It happened to me recently. The energy savings are grossly overestimated. These windows consistently fail to perform. Never buy vinyl clad double pane windows. They are a royal pain and will leak sooner than later. 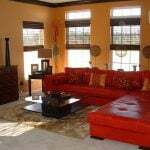 I owned a home improvement company for almost 20 years and pride myself on being knowledgeable about my window. I see many people complaining on here about a variety of things; sound, broken seals, cost savings, etc. Several complaints can be directly attributed to “over-selling”. Salespeople will sometimes exaggerate and build up unrealistic expectations. I pride myself in offering provable claims and offering sound options that will help customers choose what’s best for both budget and effectiveness. I generally go over frame construction (multiple chambers), glass options, intercept (material that separates panes of glass, styles of window and which are most efficient, other companies. This is not a small investment, but is a valuable one. Information is power. Feel free to ask questions. I’m located in the Cincinnati area.